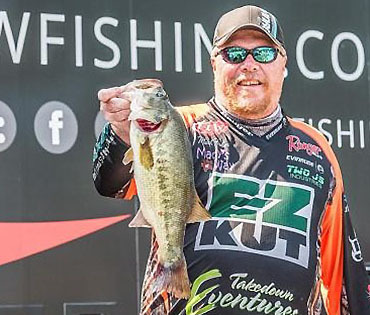 Flw Tour angler Mark Fisher has teamed up with newly formed fishing rod company Elysian Fishing. Said Fisher: "There are two very exciting things about partnering with Elysian Fishing. Being a part of a new company is exciting, challenging and means the sky is the limit in terms of where things can go. I've started several successful businesses myself and it's always a rush to be a part of a new beginning. "I love the fact that Elysian Fishing has rods for every level. Their Alpha Series will provide high-quality rods at affordable prices to intermediate level anglers like the high school anglers I work with during the summer, while the Legend and Omega Series will appeal to the tournament-level fisherman."